The UK’s biggest independent road safety charity IAM RoadSmart is urging drivers to up their game and be more alert for other road users, as pedestrians now make up a quarter of all deaths on our roads, ahead of motorcyclists or cyclists. Only car occupants have a worse record. According to Department for Transport figures (reference 1) in 2016, some 448 pedestrians lost their lives, a rise of 10% over the previous year – which is the biggest increase for any group of road users. 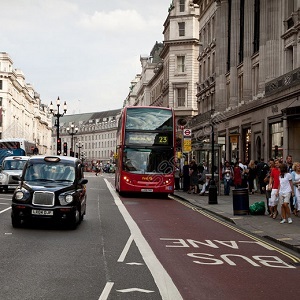 The DfT figures say in 42% of crashes the driver “failed to look” and this rises to 54% for the pedestrians themselves – showing the responsibility is not always one-sided. Observing, anticipating and planning will save lives on the roads, as a fifth of drivers “failed to judge the other person’s path or speed” in car collisions – and for pedestrians who made the same wrong choice just before a fatal or serious impact it was 17%. But Neil pointed out that while blame may not be easy to apportion, the fact a car versus pedestrian crash is an unequal match means drivers must take on a special responsibility for looking out for the safety of those on foot. He said: “We are all pedestrians at some time so no matter how fast-paced our lives might be, we all need to remember that those on foot are extremely vulnerable. Neil said: “Research on vision has found children of primary school age find it very difficult to accurately see or judge the speed of vehicles.